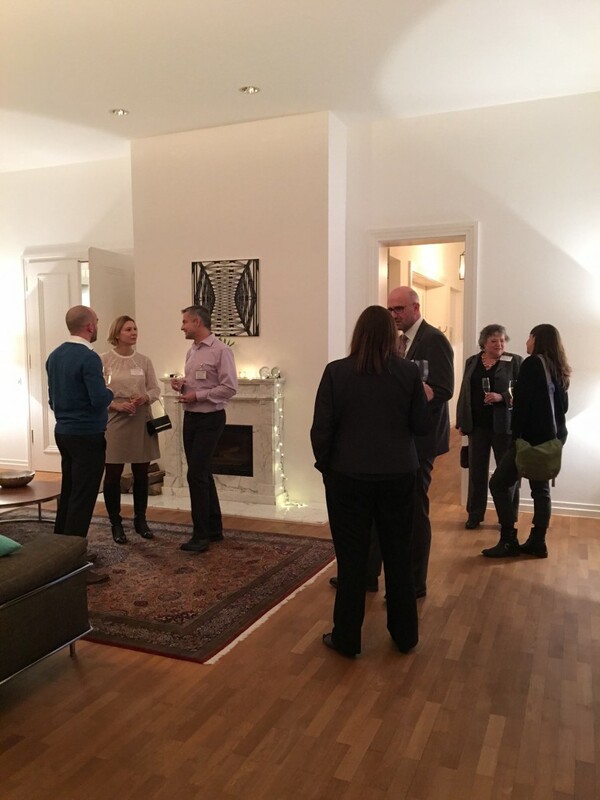 To mark the start of the festive season, the German Australian Business Council was given the privilege of holding the annual Christmas event at the residence of the Australian Consul General, Richard Leather, in Frankfurt. The Consul General warmly welcomed German Australian Business Council members and their friends into this intimate environment and as on many occasions before, proved to be an excellent host. The elegant yet festive soundtrack to this evening was provided by one of the German Australian Business Council members – Cherokee Bech, an Australian DJ now resident in Frankfurt. 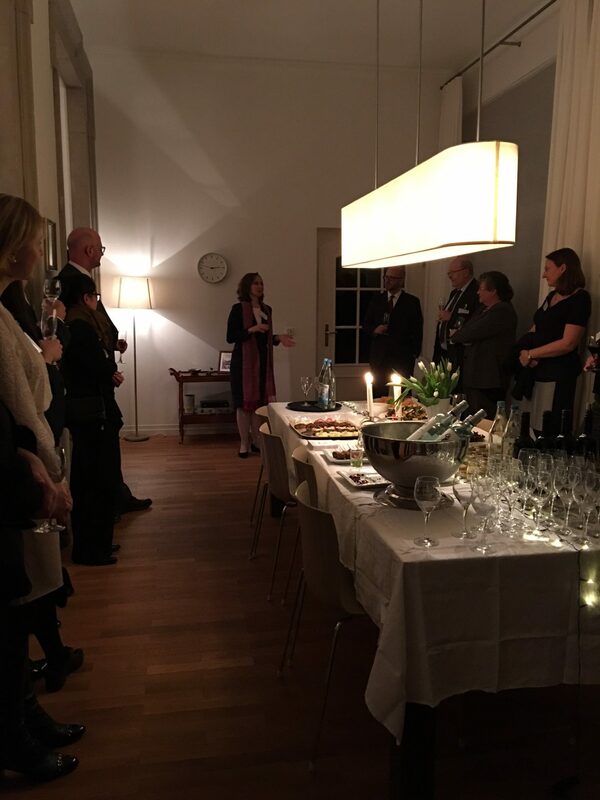 Australian wine accompanied the excellent catering for the evening, making the networking all that more enjoyable! Our chair, Sabine Pittrof also gave a brief overview of the past year’s events, major topics and changes to the association. We welcomed a number of new members on this occasion, joining us for the first time in one of our regular events and coming from as far away as Hamburg just for this occasion. 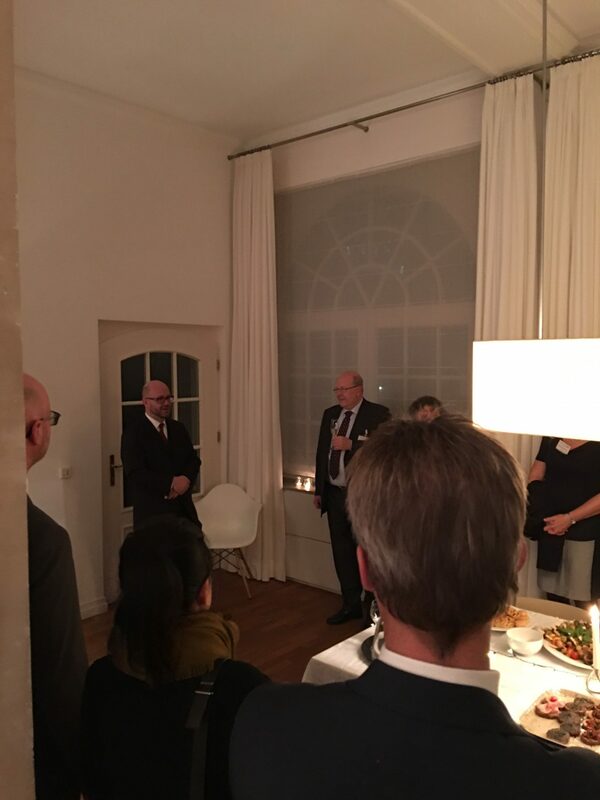 Australian Consul General and Senior Trade Commissioner in Frankfurt, Richard Leather welcomes our members and their friends to his residence. German Australian Business Council Chair, Sabine Pittrof giving an overview of our engagements and successes in 2016. German Australian Business Council members and their friends networking and enjoying a festive evening at the Consul General’s residence.